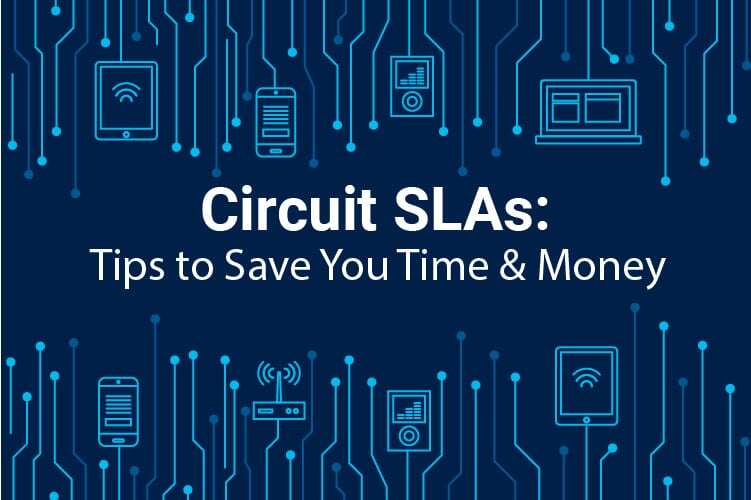 Navigating the world of Circuit SLAs can prove to be a struggle. There are so many circuits, going in so many directions, tied to so many different pieces of equipment, related to so many different end users, and possibly involving various other telecom providers for segments. So how does a telecom service provider end up at the most advantageous point, from both a customer satisfaction and financial position, with the least amount of effort? Let’s take a look. A major cable company in the US wins a contract to provide thousands of Ethernet circuits for several national wireless operators. Great news, right? A large service provider leases transport or last mile segments from a rural broadband provider. Seems like an easy and consistent revenue generator? Rural broadband provider wins the contract for a hospital. Now what were those extra regulations we needed to comply with again? Strict demands to comply with the SLA agreements and produce reports on circuits running across multiple network types and equipment vendors that don’t “talk” to each other. Historical data is static or locked, making it impossible for the Service Provider to exclude downtime from reports due to planned maintenance or forced majeure events. This problem completely throws off SLA calculations and puts your company in an unfavorable position. Meeting and proving Tier 1 contractual requirements is not easily proven. Customers end up contending invoices and providing partial payments as they claim the SLA was not met. Now the long and tedious chore of proving that, one way or another, begins. On-demand web portal that tracks over 100 KPI’s related to circuit performance in a concise dashboard. This allows your NOC to focus on MTTR and improved customer experience. Flexible on-demand reporting of “hot” data that allows your organization to optimize SLA and customer reports. This is a key point as it minimizes the gap between expected and realized revenue for each circuit. Custom reports for each customer type to meet various requirements. Easy to use administration of reports and users is passed to the customers, not your NOC team. Together with Local Backhaul Networks, Mapcom has introduced a new solution offering to our suite: M4 SLA Vision (powered by OcularIP). As a service assurance solution, SLA Vision allows you to monitor, report and provide visual performance dashboards for your customers and achieve the revenue you had already been counting on, and more. To learn more about SLA Vision and how it can help you and your company’s needs, join us Wednesday, May 9 at 2 PM EST for a webinar with OcularIP’s Raymond Chiu. Can’t wait until May 9? Check out this quick video on M4 SLA Vision powered by OcularIP!